Recently, I was walking the aisles of a Publix supermarket in south Florida searching for an item on my list, when I came upon an employee. I was about to ask him for help until I saw what he was doing. A jar of spaghetti sauce had shattered and spilled all over the floor. 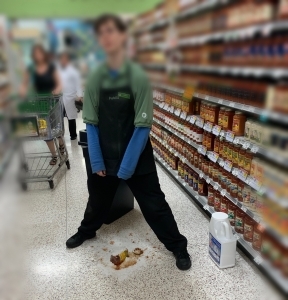 Knowing this was a safety hazard (shards of glass plus a slippery floor), he stood over the spill to direct shoppers around the area. I was off to help but before I could even get to the end of the aisle, another employee from the Seafood department swooped in with an armful of supplies to help clean the area and assist her fellow employee. 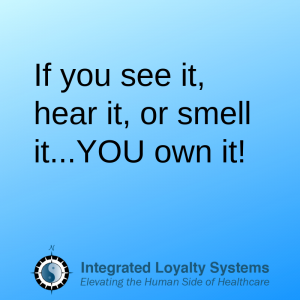 Each of these employees demonstrated ownership and a shared purpose and while it may simply look like common sense kicking in, the reality is that in most organizations common sense isn’t always common practice. Publix, like Disney, has connected its employees to something greater than their job titles. They’ve connected them to purpose. And, they have empowered their employees (just as Disney does) to take ownership and responsibility to make grocery shopping a better experience — no matter what their job title. Now think about your organization. Is every employee connected to purpose? Or are some employees laser-focused on their job titles and job description? Are they empowered to “leave their post” and help when and where needed or do they need permission first?